Newly obtained documents from the conservative educational foundation Judicial Watch detail an official memo from October 2010 of a meeting between Lois Lerner and officials at the Department of Justice and the FBI to plan for the prosecution of targeted nonprofit organizations. A lawsuit filed under the Freedom of Information Act produced the documents which included the memo as well as revelations that the Justice Department wanted IRS employees to turn over sensitive documents before giving them to Congress, Judicial Watch said in a press release Tuesday. 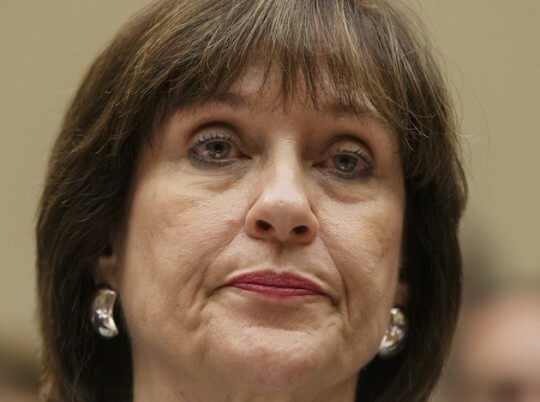 In a letter from then-House Oversight Committee Chairman Darrell Issa (R., Calif.) to IRS Commissioner John Koskinen, Issa said "this revelation likely means that the IRS—including possibly Lois Lerner—violated federal tax law by transmitting this information to the Justice Department." An IRS document confirms that the organization supplied the FBI with 21 computer disks containing 1.25 million pages of confidential information from more than 113,000 tax returns. "The FBI and Justice Department worked with Lois Lerner and the IRS to concoct some reason to put President Obama’s opponents in jail before his reelection, and this abuse resulted in the FBI’s illegally obtaining confidential taxpayer information," Tom Fitton, president of Judicial Watch, said in the release. Lerner, a former IRS official, was at the center of past allegations that the agency had targeted conservative groups applying for 501(c)(4) nonprofit status. More than 6,000 Lerner emails thought to be lost were turned over to the Senate Finance Committee in April. The new documents shed light on the relationship between various agencies in the Obama administration and their plans to gain access to unredacted documents forbidden under federal tax law, according to Judicial Watch. The memo followed an Oct. 8 meeting with representatives from the Justice Department and "one representative from the FBI" to discuss the prosecution of nonprofit organizations for alleged political activities. "How can the Justice Department and FBI investigate the very scandal in which they are implicated?" Fitton said in the release. In his letter to Koskinen, Issa asked why information about the 1.25 million pages was withheld from the committee for a year. He also requested all documents relating to the information transfer between the IRS, the Justice Department, and the FBI. This entry was posted in Issues and tagged Department of Justice, FBI, IRS, Lois Lerner, Nonprofits, Obama Administration. Bookmark the permalink. Chris Safran is a Washington Free Beacon summer intern.